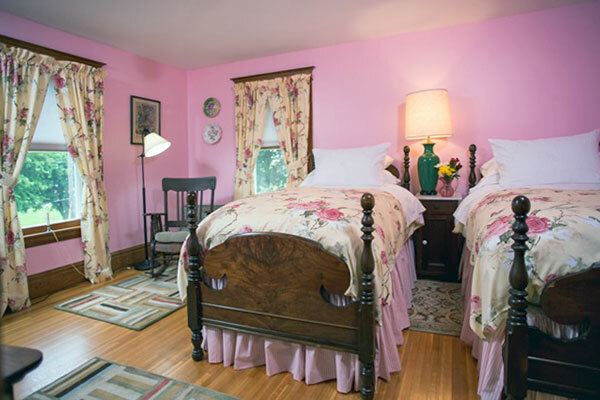 The Clematis Inn B&B is located in the historical area known as Lovett's Corner in Penfield, NY. Built in 1900, the Inn is the former home of James I. George, co-owner of the George Brothers Nursery, which once shared this site. As testament of this heritage, beginning in spring and through autumn, the Inn's gardens erupt with color from hundreds of clematis vines (the nursery's specialty) giving the Inn its name. 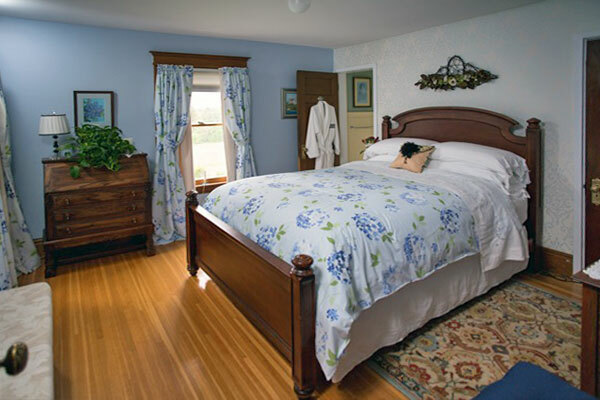 The Bed & Breakfast Inn, having been lovingly cared for, maintains the beauty and character of the early 20th century. The Edwardian style of the Inn is enhanced by a fireplace, warm chestnut woodwork, oak floors and leaded windows, along with antiques decorating each room, all of which impart an atmosphere of warm and relaxed elegance. Your Room is Ready... 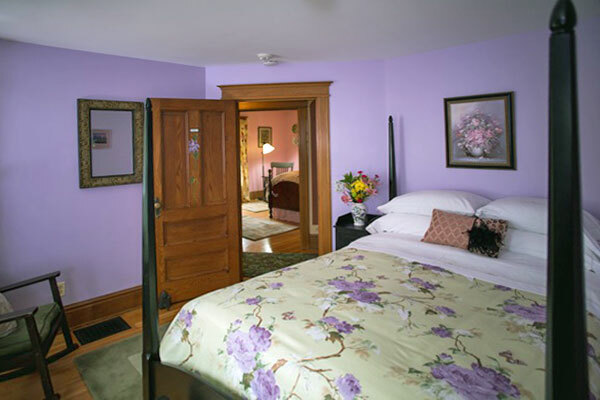 Following a tradition of the early 1900s, each bedroom door panel is painted with a flowering vine that matches the beauty and color of the clematis for which the room is named. We can provide you with maps and local information, as well as arrange dinner reservations. You may choose to spend some quiet time relaxing at the Inn. Wander the lawns and admire the multitude of clematis vines from early spring through autumn. Enjoy walking on the low-impact trails in the Sherwood Fields Park, an 82-acre nature preserve across the road from the Inn. Relax on the swing on our wraparound porch, or sit on the patio and enjoy the sounds of nature. On cooler nights, warm yourself by the fire and relax after a fun-filled day. Our goal is a comfortable, relaxing stay for our guests – and to make The Clematis Inn your home away from home. Your home is absolutely beautiful! Gary and I enjoyed our all-too-brief time here. This was our first B&B experience - Wow! We are spoiled for life.